If its going to fail it will fail very soon, assuming you aren't exceeding the limits via tuning, fueling etc. I agree with Kracka. You'll need 400-500 miles for the clutch, then at that time you can check for leaks etc but then you can turn it up. Worked fine on my motor. 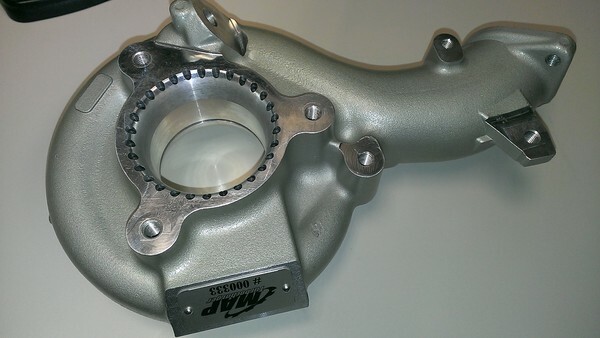 But the initial ring sealing etc is like the first 10 minutes on the dyno. I did do a prolonged breakin on my newest motor though with A LOT of vacuum pulls but many shops just put the car on the dyno after being built and let er buck. Preference really. By waiting 500-1000 miles you aren't going to prevent any problems that came from assembly or internal parts. Maybe an oiling issue or fueling but not assembly. Yeah, I don't buy in to any of that ring seating theory. That's normally done with in the first 10-20 miles on a new car (or in this case, new pistons). A couple of pulls on the dyno will take care of that. I'm still debating about E85. Maybe I'll run it on pump gas for the next month or two (1000 miles or so) and see if I still want to go E85 at that point. I'm still debating about E85. Maybe I'll run it on pump gas for the next few months and see if I still want to go E85 at that point. If you haven't decided yet, you probably don't have the fuel system for it then anyway. Stay pump to start and switch when you get bored. Take this in strides, don't do it all at once unless you are dead set on it. Easier to troubleshoot and get working right the less stuff you change at a time. Even if you are dead set on it, don't do it all at once. Easier to pinpoint issues when changing things a little at a time. True, which is why I said dead set and by that I mean if he already bought everything necessary to run it. It can be done if you take your time and do it right and know what you are doing. But its much easier to do it piece by piece, agreed. ID1000's and a WB400. I don't have an analyzer yet though (if I do, I'll probably just baby bottle it). That ought to be able to support e85. More so my concern/questions are about varying levels of ethanol and how that affects tuning/reliability. Also, because I have a winter beater, I'm concerned about what happens when the gas sits for too long and absorbs moisture. Yes, I realize it's dry in the winter, but it's still a concern if there's a long stretch of time where I can't drive the thing. Side note: some of you know I also have a project going on at my desk at work, lol. Up and running again!!! Got some more testing for leaks tomorrow, then dyno time! Just got it back from Ron's today. 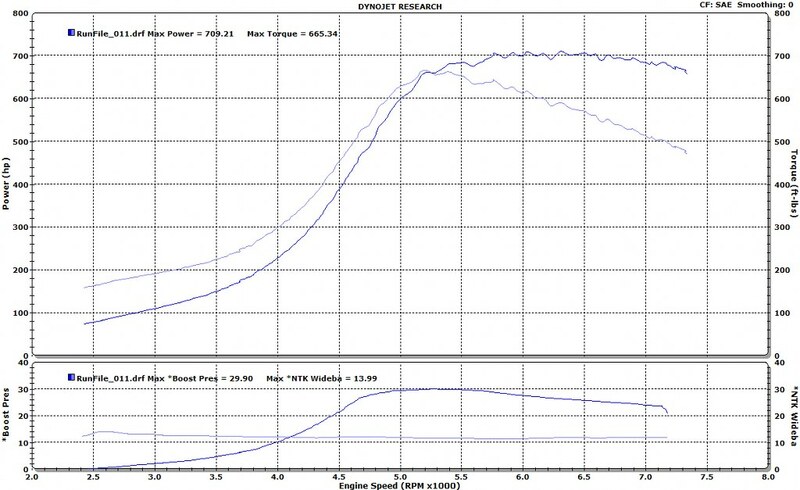 At the moments it's making 320WHP/280TQ at 20PSI on the break in tune. Once I've got a couple hundred miles on it it'll go back to Ron's to finish the tune and get converted to E85. Should be pushing 400+ with that. Last edited by Trogdor; 01-19-2013 at 09:56 PM..
Good news, bet it feels good to have it back. The turbo wanted to keep going, but we ran out of pump with out the BAP, like Tim has. That's so sick that these motors make max power at redline. Rev it to 12k! J/k good work!